To become a refugee is to be banished from the land of your ancestors, exiled from your home and estranged from your memories. It is to have everything you know wrested from your grasp, even as you cannot possibly hold on any longer because by morning you could be dead or imprisoned. The unconscionable choice of whether to stay or leave is often made in light of such a reality, for no one leaves home unless death itself is waiting for you to return there. Then, to live as a refugee is to tread unfamiliar roads, and become used to uncustomary smells and tastes amid a bizarre set of sounds that comprise a foreign language. Finally, it is to be judged for your otherness, ridiculed for your rituals, and resented for your insufferable existence upon the citizens’ conscience. It is to be unwelcomed and given the unsolicited advice that you should have never left home, that same home you mourn for each passing day. To live as a refugee is to live in a kind of limbo; you cannot go home but neither can you be at home where you are not truly wanted or welcomed. Such was the experience of many refugees that I met last summer (2018) in Cairo, Egypt. 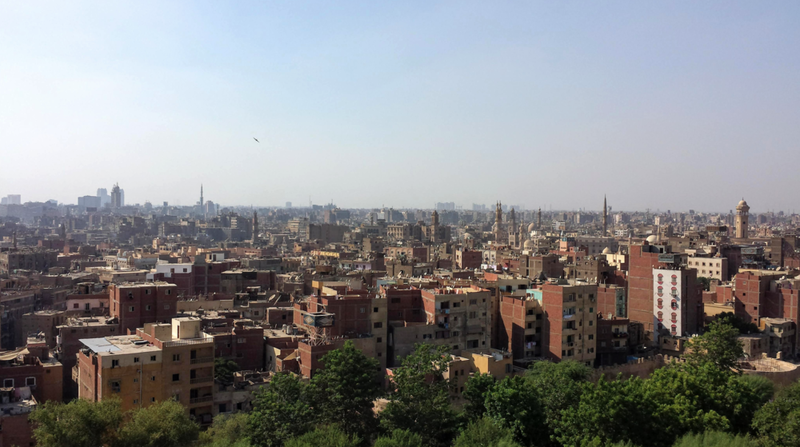 Cairo is a wilderness of sorts; the sprawling metropolis of twenty million is alive with passion, pain, and the persistent will of its people to survive and thrive. The lack of pretense is shocking to eyes that have become used to the segregated facade of American cities; there is no avoiding or averting one’s eyes to the plight of the poor and outcast. It was there, somewhere in the midst of my shock, sadness, appreciation for and awe of that great city, that my heart was awakened, and my eyes attuned to the experience of refugees. 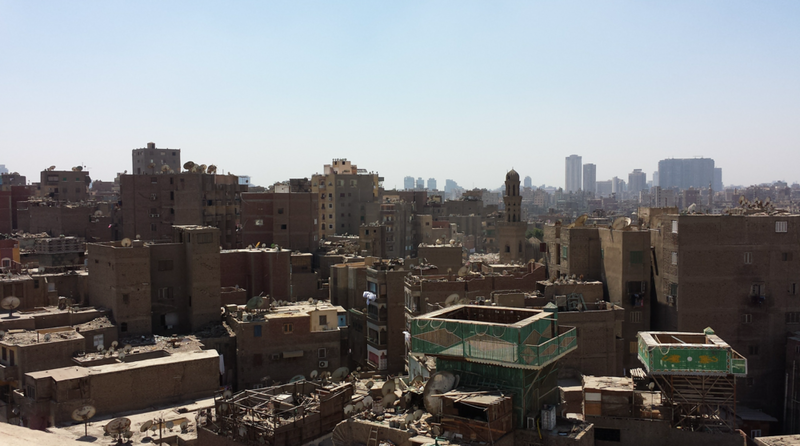 I went to Egypt with the intention of engaging in an independent study project through my seminary, made possible through help from pastors at a church in Cairo and a family friend who works with refugees. Due to my limited experience and time, for the initial study I arranged to meet with refugees through church connections, but the hope was (is) to broaden the study to refugees of all faiths. The objective of my study was to understand the role of faith in the experience of refugees. I wanted to learn more about their physical and spiritual journeys to Cairo and ponder what consequence faith has in the lives of those who experience displacement and trauma. In a sense, I felt God was drawing me to Egypt to learn about refugees, and I also wanted to learn from refugees about God. Indeed, I truly feel that the profound love for God that I witnessed and heard in my encounters with refugees in Cairo has taught me more about both God and humanity than a thousand books and the finest lecture halls ever could. Everyone whose story I heard was either Sudanese or South Sudanese; each person self-identified as a refugee and met with me voluntarily, usually after a church service that I would attend during which the pastor would introduce me to the congregation. Participants were from several different congregations made up mostly or exclusively of refugees. Many of them had been in Egypt for years and were awaiting peace so that they could return home. All had lost some combination of family members, homes, and livelihoods, and were now living as foreigners and refugees in a place where they never felt fully accepted. As it stands, less than 1% of refugees are ever resettled in a resettlement country; like the refugees who participated in my project, the vast majority of those forced to flee across international borders must toil against the tides of xenophobia as they attempt to integrate in countries that are often under-resourced to support them. Those who shared their stories with me had experienced loss of life in any number of its more nuanced forms – discrimination, desperation, trauma, hunger, and pain. In their words I heard of struggles I cannot grasp beyond the limits of empathy, yet in their eyes I saw glimmers of love and in their presence, I was a witness to living hope. I learned from my encounters with refugees that when hope exists in the most wounded of spirits and where it survives within the collective conscience of a community, it is the very hope of humanity. To live in such a limbo as the men and women I met in Cairo do is to live with a faith of which I am in awe. Their appreciation for life, gratitude for the gifts they recognize as God’s goodness that I would surely overlook, and courage as they fight the dismal odds remain a matter of mystery to me. As a person of faith, I can only be grateful and hope to learn more from their experiences and teachings about God and life. I offer these words as a testament to the resiliency of spirit and hope that exists if we would only learn to recognize each other’s humanity. I am deeply grateful to the refugees who participated in my listening sessions, giving of their time and hearts to share their experiences with me. I have been awakened, enlivened, and changed by their courage and will to persist. Though I will not name them here to respect their privacy, it is my hope that these words honor them.